In the past, the B2C space has dominated video advertising, using content that builds on emotions - often funny, irreverent and even somewhat juvenile. Research shows that within B2C the average Facebook video generates 135% greater organic reach compared to photo posts. However with an evolving digital landscape - B2B is beginning to catch up. Using video is highly effecitive for brand-building and results in higher brand lift and trust. 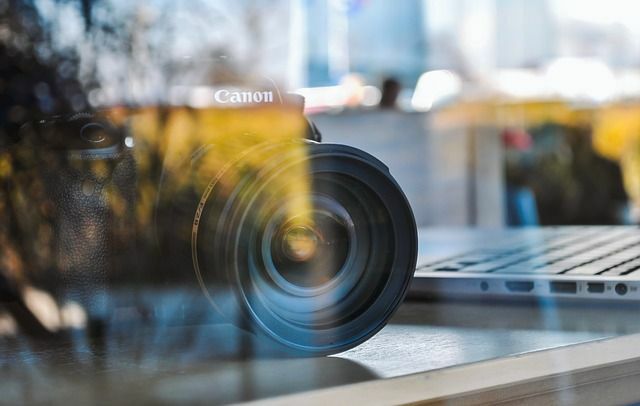 Brands evolve continually, and telling the story is important to keep your audience connected and bring in new viewers — which could eventually become loyal customers. Companies utilising video content experience a 41 percent increase in traffic through web searches compared to others who don’t include video in their content strategies. According to a recent Google study - 70% of B2B buyers watch videos along their buying journey - a whopping 52% jump in just two years. Digital advertising, and video especially, has proven more effective in driving sales than traditional advertising ever did by offering a more creative way of marketing. 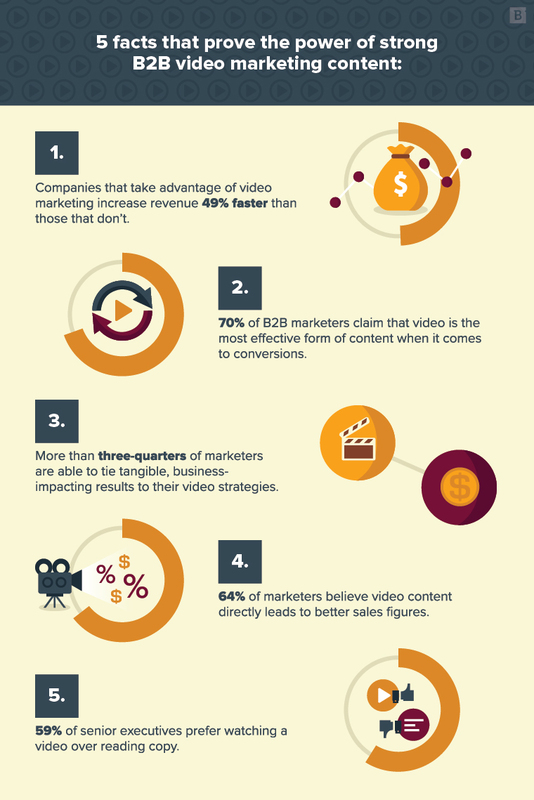 It’s in the best interests of B2B and B2C companies to continue to embrace video marketing. "B2B digital marketers were polled in the UK and Ireland between February and March 2018 by Microsoft’s professional social network. 62% saw video as the most important content format. This was followed by email, social media creative, and infographics."